If you are a Modem User or Broadband Cable user, you always faced a Wireless Internet Sharing problem. Many Windows users download create wifi hotspot software for windows for solving this problem. But here I advise you not to download hotspot software because these software contains spyware and adware. 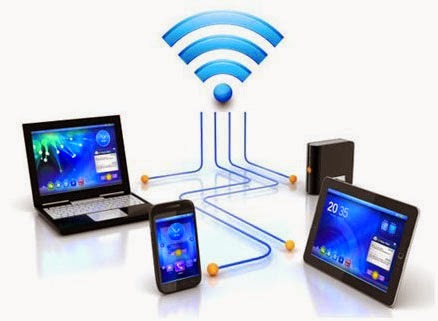 If you work on a laptop or use Bluetooth adapter in PC, so you follow my guide for creating the hotspot in Windows PC for sharing Internet Connection with Others Laptop and Mobiles. You can create the hotspot in Windows 7 and Windows 8 PC in just one click. Follow my guide for finding Hidden Wireless Network. Follow the below steps for creating hotspot in Windows 7 for sharing Internet Connection. 1. Open notepad, copy the below lines and paste in your notepad. 3. Open your file with run as administrator and your wifi Hotspot is ready. Now your Hotspot is ready but Internet Sharing is not configured. So this time, you need to do some simple task. Now click Control Panel > Network and Internet > Network and Sharing Centre >, right-click your internet connection that you wanna share it and select Properties. Click the Sharing tab, check “Allow other network users to connect…”, – and that’s it. In above Picture, You see Internet Connection is enabled in prophet hacker network that created by bat file.